Minimalist and modern, our Alphaville Side Table is available in polished stainless steel with a smoke mirror top or honed brass with a black glass top. With a simple drum form and a gracious size this is a substantial side table big enough for a lamp and a couple of cocktails, but light and glamorous. 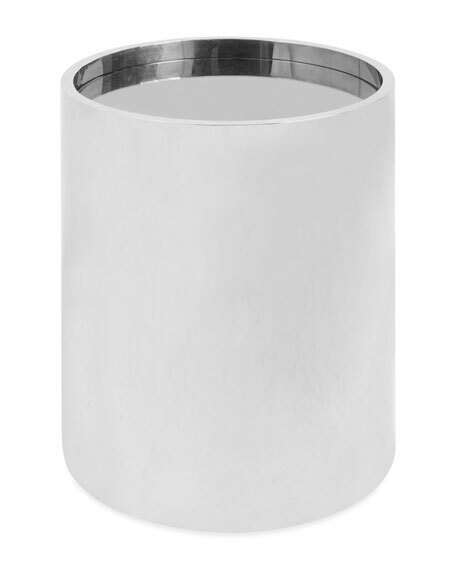 Side table with polished stainless steel base. Weight, 55 lbs. Boxed weight, approximately 59 lbs.